With disco lights, smoke machine and live DJs just to get you toned up, SWEAT 1000® is probably one of the few gyms that allow you to have a party time while you burn the extra fat. Many celebrities, including fitness guru Kabelo Mabalane, TV personalities Pearl Thusi and Boity Thulo have been spotted at the party gym and many fitness fanatics are going crazy about it. While the gym was launched in South Africa about seven years ago by two brothers, Paul and Andrew Rothschild, it is only in recent years that customers are paying attention to its concept. In Cape Town there are branches in Sea Point and Claremont, with only one branch in Johannesburg. The gym is so popular in SA that it is now set to be launched in Texas in the US in the next few weeks. Why did you decide to start the gym? What is different about the gym? Sweat stands for Specialised Weight Endurance Athletic Training with the 1000 representing calories burnt in a one-hour workout. Integrating the components of interval training, functional training, core stability work, athletic training, and agility training – it is the result of taking everything that is the highest level of physical training and putting it into a one-hour action packed class that is different every single time.What are the different classes available? All classes combine the treadmills and floor work that caters for all levels of fitness. The work on the floor includes boxing, core training, function training, suspension training, bodyweight training and strength training. We change the floor set-up every day to ensure that you always get a different workout. Everybody! We have structured our programming to cater for all levels of fitness. On the treadmills, you can choose whether you are a walker for beginners, jogger for intermediate or a runner for more advanced. We make sure that we are always up to date with world fitness trends, ensuring that we always have the latest fitness products. We have specifically chosen the FreeMotion Incline Trainer as our choice of treadmill. This treadmill is different from others in that it inclines to 30º as opposed to the conventional 15º. Studies have shown that walking on incline above 18º burns three times the calories than running on a zero degree incline. I’m not a gym fanatic, will it work for me? Absolutely, our classes cater for all levels, but we are specifically mindful of beginners. We encourage beginners to take longer recoveries where necessary and make sure to go at their own pace. I’m an advanced gym goer, will it work for me? We regularly have advanced athletes in our classes, and have had international rugby players, Olympic gold medallists, international triathletes and runners.Do you really burn 1000 calories an hour? Yes, our male clients are consistently burning around and above 1000 calories per class and our female clients around 800 per class. What is the inspiration behind the party mood? We wanted to take the boredom and monotony out of working out. 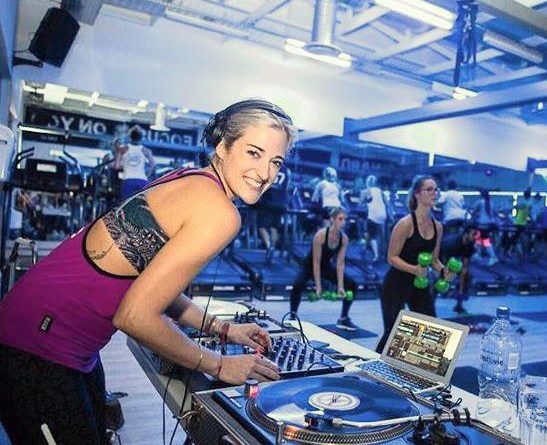 We have added disco lights, smoke machines, incredible sound and live DJs to classes to ensure every class is a SWEAT party. How many studios gyms do you have in South Africa and when were they launched? We launched in 2010 and we currently have three studios here. There are no barriers to entry, no joining fees, no membership fees, you pay per class. With all classes structured to all levels of fitness, there is no reason not to start.